Weslaco Commissioner Gerardo “Jerry” Tafolla, who pleaded guilty to bribery Monday, has decided to step down from his District 4 seat, effective immediately. 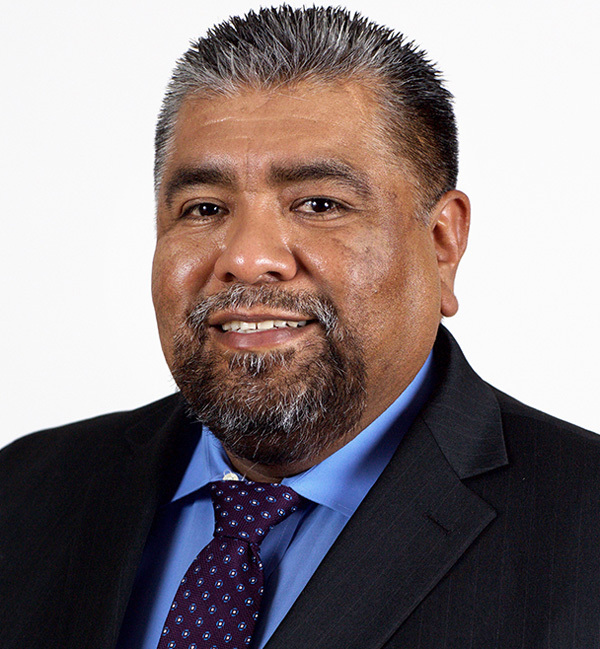 In a letter of resignation Tafolla submitted early Friday, he apologized to his fellow commissioners and Weslaco residents, but also expressed pride in his tenure on the commission. “Although, I am not proud of my actions, I am not ashamed of the progress and the accomplishments that you (the citizens of Weslaco) and I as your city commissioner have brought to the City of Weslaco in the past nine and a half years,” Tafolla wrote. “I want to apologize to all the citizens of Weslaco,” he continued, adding a special thanks to District 4 voters. Tafolla’s fellow commissioners will vote on accepting his resignation this Tuesday during a regular commission meeting. “It’s on the agenda and it’s for the commission to accept the resignation,” Weslaco City Manager Mike Perez said Friday. “It’s his (Tafolla’s) request and I’m sure they’re going to accept it,” Perez said. Tafolla’s place on the commission has been in doubt since he pleaded guilty to federal program bribery this Monday in connection with a $38 million effort to rehabilitate the city’s water treatment facilities. The plea is part of a larger bribery scheme involving the water plant, which includes allegations against Tafolla, former District 2 Weslaco Commissioner John Cuellar, former District 1 Hidalgo County Commissioner A.C. Cuellar, Rio Grande City school board trustee Daniel Garcia, Weslaco businessman Ricardo “Rick” Quintanilla and now-former Rio Grande City Municipal Judge Leonel Lopez Jr.
Lopez pleaded guilty to similar charges late last month. Initially, city leaders were unsure of how Tafolla’s guilty plea would affect his position on the commission. An elected official can be removed from office in the event of a felony conviction, according to state law. “The conviction of an officer for any felony or for a misdemeanor involving official misconduct operates as an immediate removal from office,” reads Sec. 21.031 of the Texas Local Government Code. But it was unclear if Tafolla’s guilty plea constituted a conviction that would immediately oust him from office. The city manager said he had reached out to the city attorney for guidance on the issue. Though Tafolla’s pending resignation now makes such legal questions moot, the commission still needs to formally accept it before moving on. “Given the circumstances, it’s probably appropriate,” District 2 Commissioner Greg Kerr said of Tafolla’s resignation upon learning the news late Friday afternoon. Kerr added he expects the commission to accept the resignation. He and Jose “J.P.” Rodriguez, District 3 commissioner, campaigned on putting a stop to what they perceived to be corruption in the city’s leadership. “A lot of the big purpose of me getting on the commission and putting an agenda item to investigate the whole water plant,” Kerr said. “What we saw and perceived to be a corruption issue back at the time — yeah, it’s good to see some of this stuff coming to light and people need to know about it. Rodriguez spoke about the ongoing water plant saga during a groundbreaking ceremony for the city’s new fire and EMS station Thursday morning, prior to Tafolla submitting his resignation letter. “One of the reasons that I ran was because of the issues surrounding the water plant,” Rodriguez said. “I’m not happy that our city is going through this, but I am happy that I feel like we’re going in the right direction. … We’re going to look for ways to continue positive progress for the city,” he said. Rodriguez added that he and Kerr hope to establish an accountability system to prevent similar issues from happening again. “We’re looking at the idea for creating an accountability and oversights committee to ensure that there’s an internal mechanism of checks and balances that makes sure that we don’t have to deal with this again in the future,” he said. If the city commission accepts Tafolla’s resignation, the vacancy for the remainder of his unexpired term must be filled by a special election.